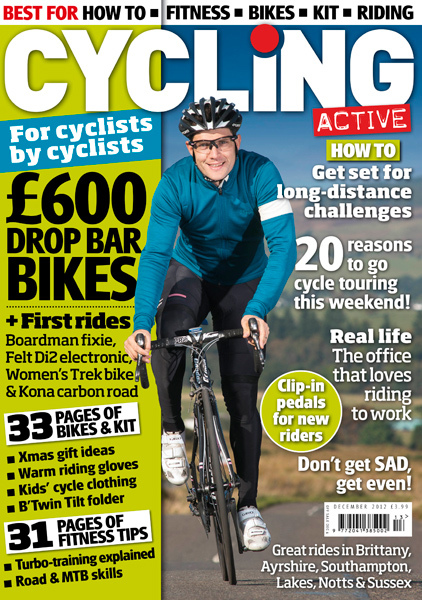 The December 2012 issue of Cycling Active magazine goes on sale from Wednesday, November 7. This month we give you a timely guide on what to buy for the cyclist in your life (or for adding things to your own Christmas list), review a wide selection of bikes and kit, tips to help you keep your fitness up in the winter months and much more. Cycling Active December 2012 issue on sale at WHSmith, major supermarkets and all good newsagents priced £3.99.